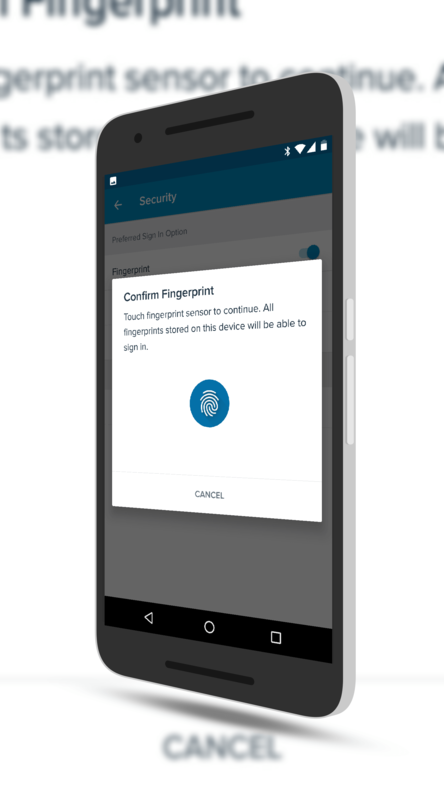 Capital One has become the latest financial institution to add fingerprint authentication support to their Android app. The US-based bank and credit institution has updated their Android app to give customers the ability to authenticate and access their accounts on their phones via their fingerprint. Setup of the new feature is easy and can be found off of the settings menu. Once it is enabled and configured, you can start the app then access your accounts by touching your fingerprint scanner on your phone. For security purposes, your PIN or Pattern authentication that you previously used will become the backup way to get into the app and your accounts. board with the feature. American Express and Citi for example have not enabled the feature. As fingerprint scanners become a standard feature even for entry level phones, the need for support of them and this unique layer of security is an ever increasing need. The updated Capital One app is in the Google Play Store now and if you have the app already installed, you should get the OTA update for it over the next day or two. To use the app you will need to have an account (banking, checking, loan or credit card) and initially use your online credentials to get the app setup and going.